While the declining birthrate and the aging population has caused to reduce the number of workers in Japan, the number of foreign workers working in Japan is increasing as you know. Among them, the Vietnamese are increasing rapidly. 26,828 people in 2012 have increased by more than ten times to 240,559 (2017) in five years. By the way the number of Filipino workers in Japan is 146,798 (2017). Vietnamese restaurants are increasing with the increase of Vietnamese workers. It is not for Japanese but also for Vietnamese people, so we can eat truly authentic local food. 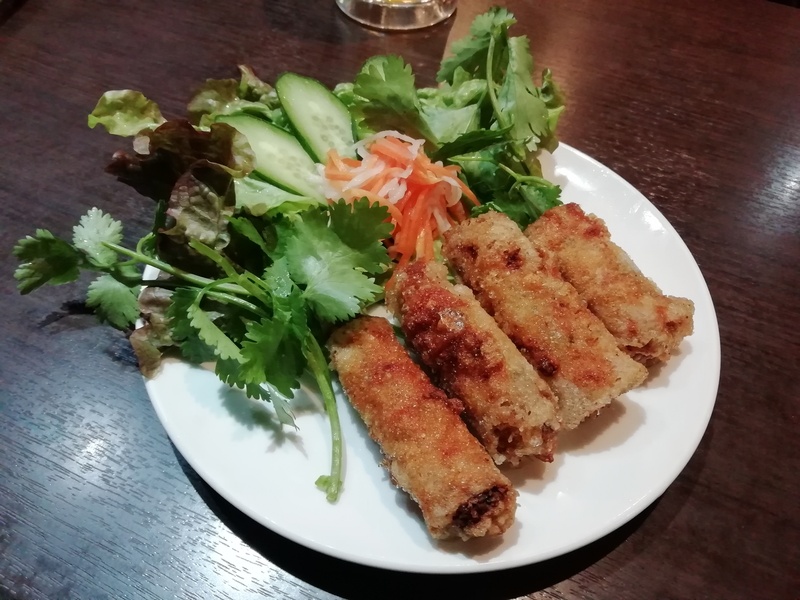 One of the famous Vietnamese dishes in Japan is raw spring roll, but fried spring rolls in main restaurants is common (see photo). There are many Vietnam restaurants around JR Shin-Okubo Station where a lot of foreigners live.